Today, it seems the moment a kid has a moment of down-time, the first thing they do is grab a device, or plop down in front of a TV screen. Instead of using imagination and creativity to self-entertain, discover, learn and explore, devices do all of this for us. Kids no longer have to go outside to learn about plants and nature, they can simply download an app or watch Discovery Channel instead. They don’t need to play Lego, they can log into MineCraft and create imaginary worlds virtually. - It teaches important social and emotional skills required for success in life. - Cognitive abilities improve significantly. - It opens the doors to discover new, lifelong passions and hobbies. 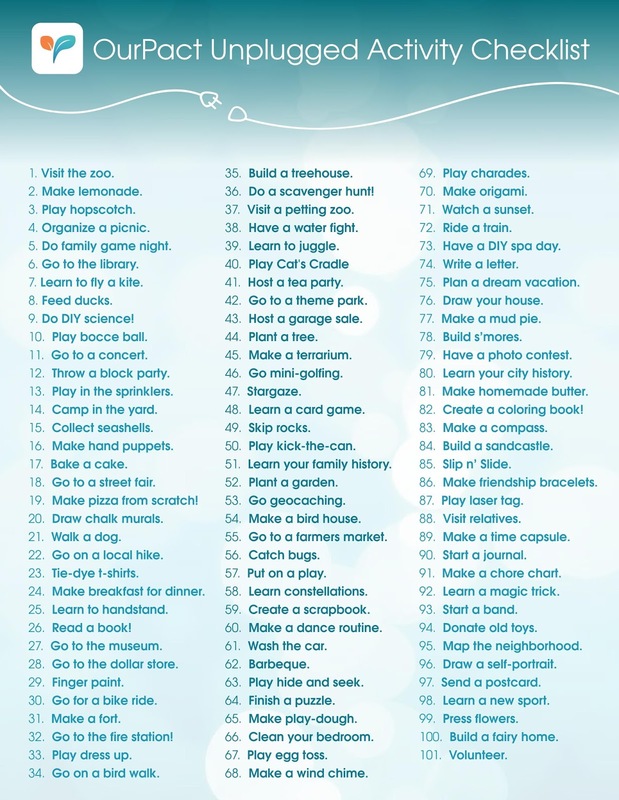 There are tons of great ways to get kids unplugged and having fun. For parents looking to create a bit more routine around screen time to ensure unplugged play happens on a daily basis, check out the OurPact app. Using OurPact, parents can remotely manage children’s iOS and Android mobile devices through at-a-touch and scheduled blocking of internet and apps. This means parents can set a daily block to kick in at the same time for ‘Unplugged Play’ (or bedtime and homework! ), to hold everyone accountable to this healthy habit. As for what to do once the devices are blocked and put away? 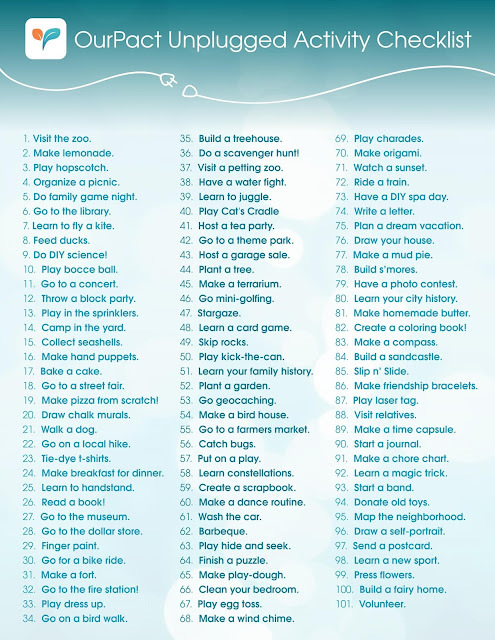 Here are 101 activities to get your kids away from technology, and exploring their creative side, shared by OurPact! Throwing An Incredible Baby Shower! $100 Bath and Body Works Giveaway Event! Red Desert Clay To The Rescue!